A recent performance enhancement has made it possible to open a configuration item (CI) and quickly search or browse through all its relations. Regardless of how many relations the CI has with other CIs, the speed with which the relations are retrieved is almost instantaneous. In the past, only the first 100 relations of a CI would be retrieved. Now, even when a software CI like a PC operating system has been linked to the thousands of PCs that run it, this CI will open immediately when it is selected by a configuration manager. 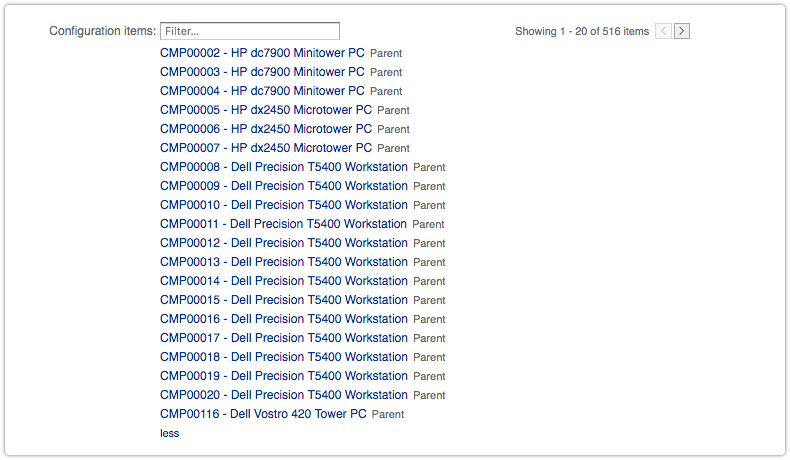 And once opened, it is possible to swiftly browse through all links or look up a specific PC that is related to it. For configuration managers of very large enterprises this makes life just a little better.